Rocky (1976) tells the tale of Rocky Balboa, a small-time boxer who gets a chance to fight the current heavyweight champion, Apollo Creed. It was the first sports film to win an Academy Award and had boys and men all over the world falling in love with the world of boxing. If you’re a fan of the hit boxing movie, here are 10 Rocky facts that pack a punch. The kiss between Rocky and Adrian in Rocky’s kitchen was different to the scene that was scripted. Talia Shire was suffering from flu during filming and so was hesitant to kiss Sylvester Stallone for fear of passing on the illness. Her hesitation and behaviour onscreen worked so well that they decided to keep it. Stallone has since stated that the kiss scene is his favourite in all the Rocky films, and both he and Talia Shire view it as Adrian’s birth scene, as it is where her character was brought to life. 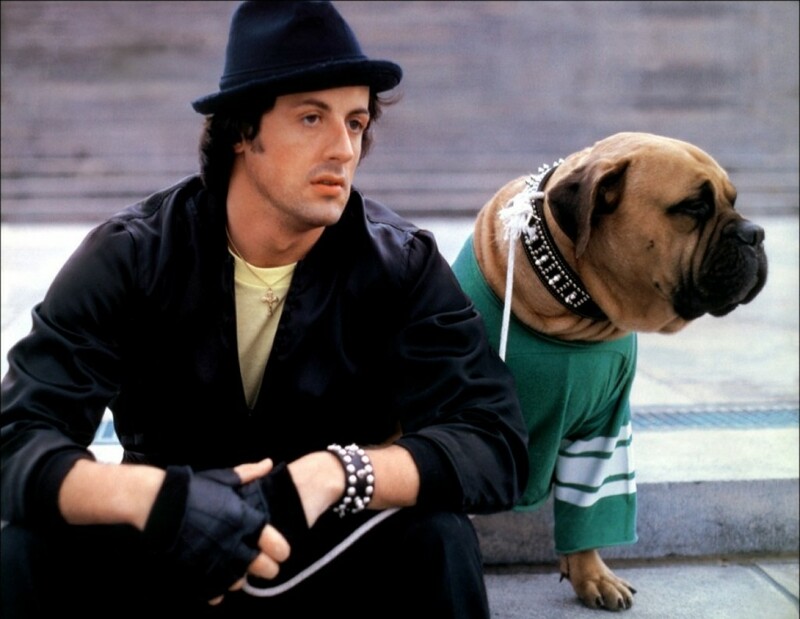 Rocky’s dog Butkus was actually Sylvester Stallone’s real-life dog. 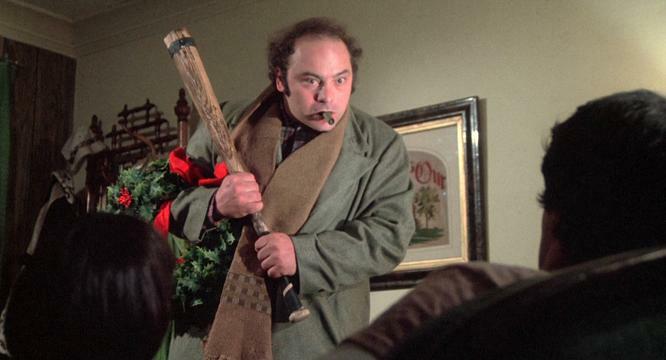 According to Burt Young, during his scene as Paulie where he pretended to walk home drunk, a real-life drunk somehow wandered onto the set and told Burt that he wasn’t a convincing drunk. The actor therefore asked the drunken man for some tips and so Young copied his actions when he filmed the scene. 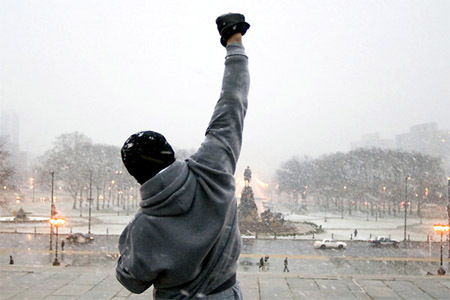 Most films take many months to complete, but the first Rocky movie was filmed in just 28 days. As the movie was filmed in just 28 days, the costume department had to make do with some of the costume problems that arose. Rocky’s boxing robe was never supposed to be as baggy as it is onscreen. The costume department sent the robe on the day of filming but it was too large for Sylvester Stallone. 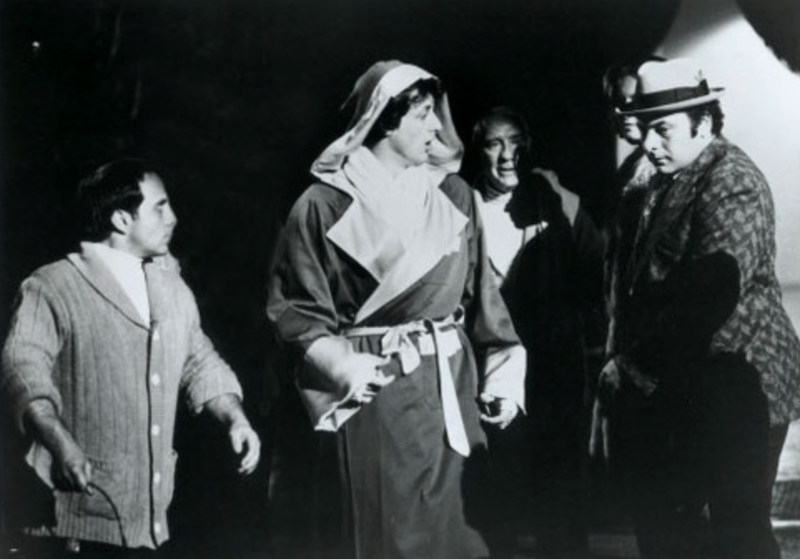 With no time to change it, Stallone wrote dialogue in the scene to highlight the robe is too baggy. 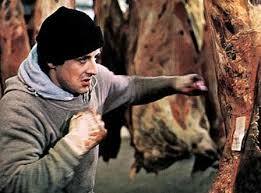 When filming the scene where Rocky punches slabs of beef in the meat locker, Sylvester Stallone punched the meat for so long and so hard that he flattened out his knuckles. To this very day, his knuckles are completely level whenever he makes a fist. 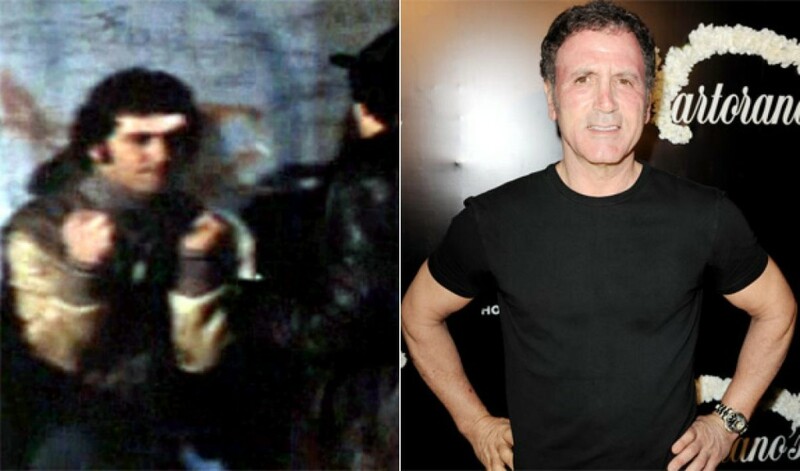 Sly Stallone’s father, Franks, makes a cameo in Rocky. He is the man who rings the opening bell of the Creed vs Balboa fight. Stallone’s brother also has a cameo as the lead singer of the street band. 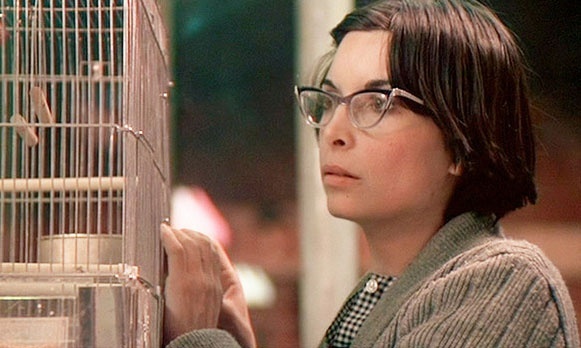 Susan Sarandon auditioned for the role of Adrian, but she was deemed too pretty to play the role, so it went to Talia Shire. 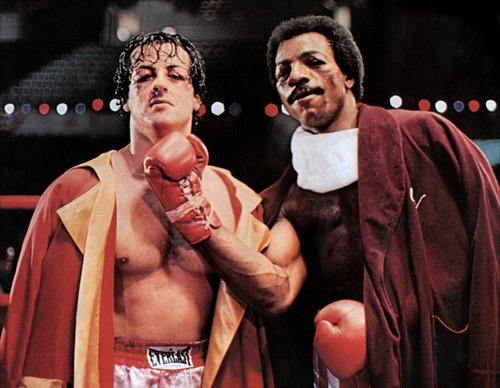 Carl Wethers, who played Apollo Creed, won the role by insulting Sylvester Stallone during his audition. He sparred with Stallone and accidentally hit him on the chin, resulting in Sly asking the actor to calm down as it was just an audition. Wethers responded that he would do a lot better if he was allowed to audition with a real actor and not a stand-in. Director John G. Avildsen told Wethers that Sylvester wasn’t just the real actor but he was also the writer of the movie. Wethers thoughtfully replied: “well, maybe he’ll get better”, which led to Stallone immediately hiring the actor. 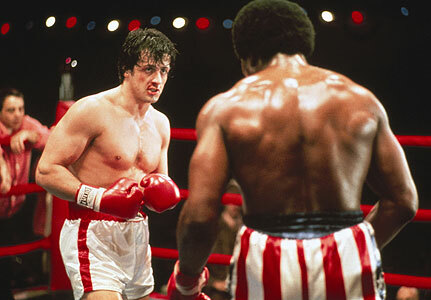 Rocky’s name isn’t actually Rocky; it is Robert Balboa, which was stated in a rough draft from the second film. The nickname is used in honour of the real-life boxing champion Rocky Marciano. Read more about other great movies and check out these 10 Wolf of Wall Street Facts at The List Love. 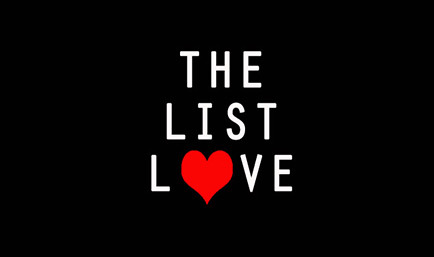 Don’t forget to follow The List Love today on Facebook and Twitter to view our latest top 10 lists.